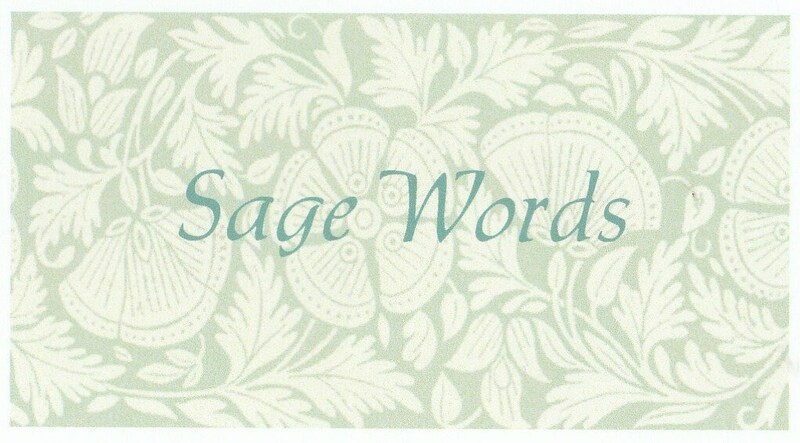 I have created a package of 26 different affirmation cards called "Sage Words." They are the size of a business card printed in full color with one of my original art images on each one. 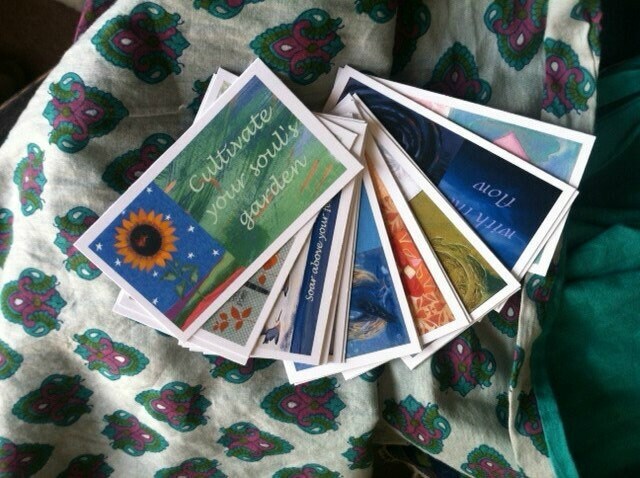 You can choose one daily to guide you, or you can also tuck them into a greeting card, gifts, someone's pocket, etc. They are all encouraging little gems. 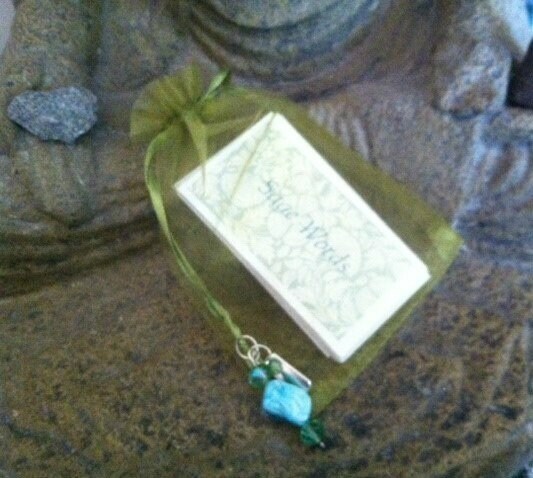 They are printed on card stock and come in a green organza bag with beads and a Namaste charm. They make a wonderful, affordable gift. The backs of the cards don't have perfectly even borders. Two sided printing is hard to line up but trust me, it doesn't take away from the cards or their messages. 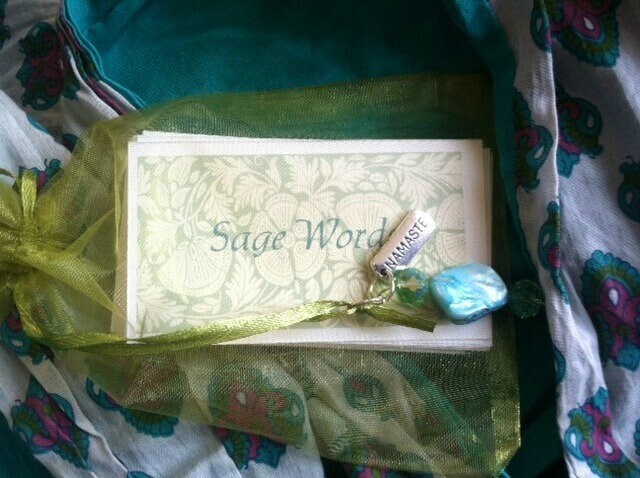 Love, love, love, love the sage words pack. They are all so very beautiful. A sweet touch with the organza bag.